Screen flickering is not the only issue that some Chrome users experience on Windows 10. Other issues include Chrome's black screen issue or black bottom bar issue, or Chrome font display issues. To describe the issue: Chrome's window starts to flash regularly when the issue exists, e.g. every other minute or so. 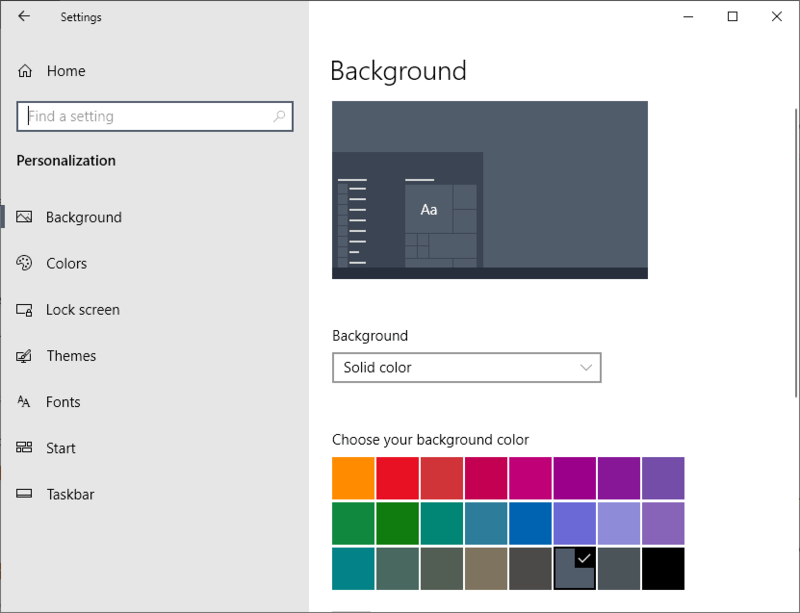 There you need to select Solid Color as the new background. It seems that Windows' automatic background switching is the most likely culprit and that Chrome somehow has issues with the setting. 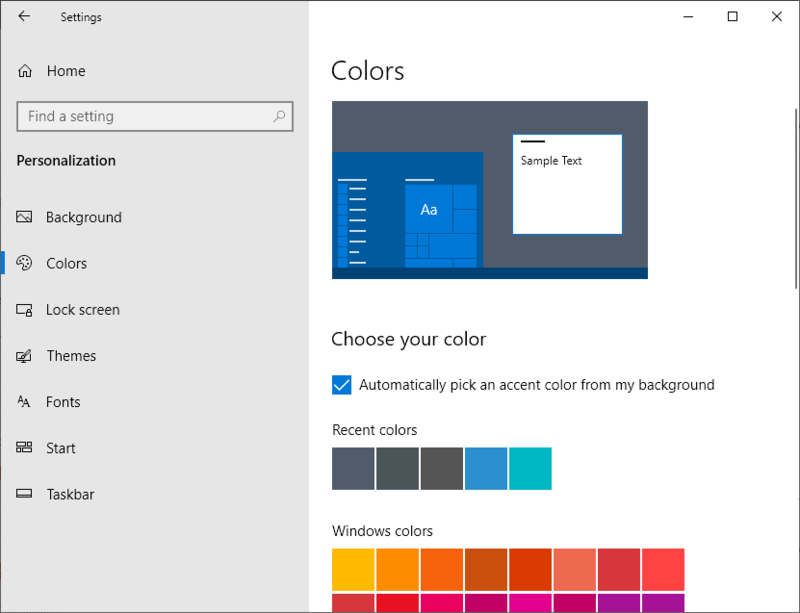 There, you need to check the "Automatically pick an accent color from my background" option. It is not entirely clear if the second step is necessary, but most users who followed the instructions reported that it helps. If you want to give it a try, load chrome://settings/ in Chrome's address bar and click on the advanced link at the bottom of the page that opens. Scroll down to the System section and toggle "Use hardware acceleration when available" so that it is off. Restart the browser to see if that resolved the screen flickering issue. yeah disable hardware acceleration, that will fix it, lol. Never mind that you are now using 20%cpu instead of 4, your screen is not flickering, lol. Idiots. So far been using new MS Edge Canary for x64 and pretty steady. Same with Dev version. Quite happy with the marriage of Edge & Chrome. With regular Chrome was getting a random screen refreshing jerky display on some web pages that I just put down to the site itself when scrolling through long text. Sort of a shaky display as if the page was trying to reload over & over which I guess is the “flashing”. And that was with PC’s display settings already same as above suggests. That was an uncommon event though. Now that Edge can access Chrome Store there’s many more goodies to load up on but I’ve resisted doing that other than couple needed ones. Seems to help too. Have never checked anything that suggests disable hardware acceleration. oh I didn’t know this was a problem in Chrome, when I read emails and it happens with Yahoo mail A LOT, when the page opens I have to wait for the page to burp, Yeah I nicknamed this the Google burp, and I started to call it that after I figured out that it wasn’t only Yahoo. So when you open a webpage just pat Chrome on the back of the screen and after it burps, you should be fine. On Gmail, it happens even more because Gmail constantly reloads. I quit Chrome over this. I am getting ready to do the same thing. I am looking at other browsers. I did change the settings as described above (so 2 settings), through I had not experienced the problem. However with these settings I just had a severe monitor flickering, while in Chrome viewing streaming TV. I think your advise to CHECK “Automatically pick …….” is wrong. So can you please check if it is CHECK or UNCHECK. Thanks, Martin, for this great article. I have been having this issue for a while now. I am going to give it a try at your 2 solutions and see what gives. I am the reporter of above problem. I think I found the reason for my severe monitor flickering. Probably not because of the explained setting. I bought a new HDMI cable (3 meter long) for connecting my PC to my monitor. It seemed to work OK. However at starting streaming TV of a particular public TV-site in Google-Chrome, a terrible flickering started. I did this just after performing above settings, so I thought these setting were the culprit. Later I found that with an older HDMI cable I did not have this problem. The new HDMI cable did not function on another device, so I think something was wrong with the new HDMI-cable. However I still think my remark on the correct setting: CHECK or UNCHECK , is stil valid.